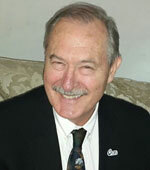 Dr Ian Barker has over 30 years of experience in management of agricultural R&D, commercialization of public research and overseas development, specializing in seeds and plant pathology. Before joining SFSA, he was Head of Seed Systems for the International Potato Center (CIP) in Nairobi, where he oversaw the successful entry of the private sector into potato seed production in Kenya. At SFSA, Ian continues this work to improve access to quality seeds by smallholder farmers in sub-Saharan Africa, South and South-East Asia by facilitating private sector investment through innovative public-private partnerships. Ian graduated from Wye College, University of London, and holds a PhD from the University of Exeter, UK. Dr Mariame Maiga is the Regional Gender and Social Development Adviser of CORAF/WECARD, the West and Central African Council for Agricultural Research and Development, based in Dakar, Senegal since September 2012. She is High Level Gender Expert of the Biennial Review and process Task Force for African Union Commission, and assigned to guide the Regional Economic Commissions and their Member countries to mainstream gender in National Agricultural Investments Plans Appraisal and design, implementation of the policy, institutional, and investment actions required to achieve the Malabo commitments across the continent (NAIPs Task Force with IFPRI). Her academic background is in rural development sociology, with a Ph.D. (2010) obtained at Wageningen University in the Netherlands, and in development philosophy, with a post-graduate (DEA) obtained at Abidjan-Cocody University (1995). Her research interests embrace gender analysis and gender assessment of projects and programs on agriculture, livelihood and food security, natural resource management – climate change, land tenure, governance, HIV/AIDS, social safeguards, conflict and disaster management, inclusive finance, and transport. 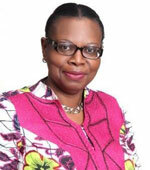 Dr Uma Sah she works on agricultural extension innovations for effective dissemination of agricultural technologies. She began her career as a scientist (Agricultural Extension) at ICAR-Central Potato Research Institute, Shillong, India in 1999, before joining ICAR-IIPR, Kanpur. She successfully led multidisciplinary team in the participatory assessment of agricultural technologies under different agro- production situations. She has also contributed towards harnessing ICT tools for extension of pulses production technologies. Her work on farmer-led institutions strengthened the pulses seed system at the regional and national levels. Uma is a recipient of the Agricultural Scientist Award 2016 from the UP Academy for Agricultural Research, UPCAR, Lucknow and Young Scientist Award 2015. 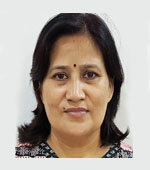 She is a Fellow of the Indian Society of Pulses Research and Development, Kanpur. Uma has a doctorate from ICAR- National Dairy Research Institute, Karnal, India. 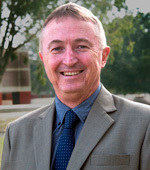 Dr Geoffrey Heinrich is based in Lusaka, Zambia. 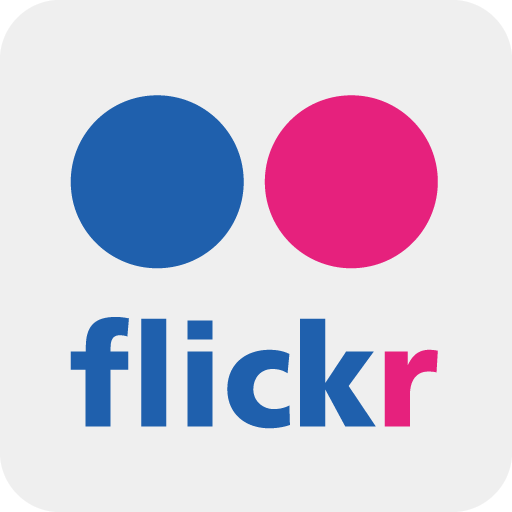 He provides technical assistance to CRS agriculture and environment programs, primarily in Africa, through sharing innovations, managing learning opportunities, and strengthening relationships with advanced research institutions, PVOs, the public and private sectors, and donors. He has a PhD in Crop and Soil Science and 30 years of on-farm research and development experience with smallholder farmers, primarily in Africa, but also in Asia. Goeffrey has served in research and management positions with advanced agriculture research institutions, including the International Crops Research Institute for the Semi-Arid Tropics (ICRISAT). His career has been dedicated to helping smallholder farmers increase farm productivity and food security, increase incomes through effective market engagement, and protect the environment (farm and landscape level) through sustainable resource use. 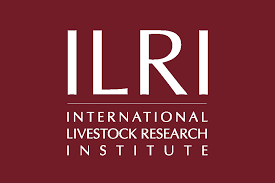 Dr Jacques Wery has been the Deputy Director General – Research of ICARDA since May 2018. Prior to that, he was Professor of Agronomy and Agricultural Systems in Montpellier SupAgro until 2010, and head of a CIRAD-INRA research unit on functional analysis and design of cropping systems. He has been a board member of the Seamless project on integrated modelling of agricultural systems. He is the Executive Secretary of the European Society for Agronomy and Chair of the Farming systems design network on methodologies for analysis and design of agricultural systems. He was chair of AgroSYS, a joint venture between SupAgro and 5 private companies to support the design of sustainable agricultural systems through capacity building, until 2018. He has supervised 26 PhD students and published 110 papers in international journals and books on crop physiology, cropping systems design and agricultural systems. An agronomist by training, Dr Etienne Hainzelin has worked in a wide array of areas and countries, including Ivory Coast, Réunion Island, Canada, Brazil and France. His first scientific work centered around corn and sugarcane. Over time, he became interested in the links between the social sciences and agronomy, especially the interaction between social dynamics, governance models and global transformations in rural settings. In this context, he coordinated a study on the role of biodiversity in agricultural transformation. Between 2007 and 2010, he worked as Research and Strategy Director for Centre de coopération internationale en recherche agronomique pour le développement (CIRAD), where he played an active role in recasting and redirecting the research issues and scientific strategies of some of the major French, European and international centres and institutes in the field, and in designing new methods of impact assessment of research on development. Etienne holds a PhD in plant science. Dr May-Guri Sæthre work is Deputy Director General – Research for Development at IITA since May 2017. Prior to this, she was a research professor in the Biotechnology and Plant Health Division of the Norwegian Institute of Bioeconomy Research (NIBIO). Her professional background encompasses research, development and teaching in plant protection and plant health, with a good balance between basic and applied research. Her research focus has been on Integrated Pest Management (IPM) and agricultural entomology for sustainable agro-ecosystems, ecology, population dynamics and natural enemies of arthropod pests in Norway and Africa. While at NIBIO, she developed and promoted the Institute’s international dimension, to establish and enhance collaborative research with international partners, as well as providing technical assistance. A greater part of her research has been conducted in Africa: Rice in Nigeria, vegetables in Benin, banana in Tanzania (banana weevil), and alien and invasive species & urban landscapes in Norway and Africa. She has also evaluated Nepal’s IPM programme, pesticide usage surveys in different crops in Norway and Benin, and supervised PhD and MSc students. 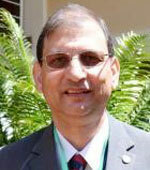 Dr Ravi Prabhu joined the World Agroforestry Centre (ICRAF) as Deputy Director General (Research) in January 2012. 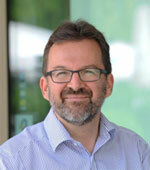 Apart from overseeing the institute’s research programme, he is also a member of the Centre’s Senior Leadership Team. Ravi has engaged in multi-disciplinary research and action in forested landscapes for almost 20 years. He was previously a Senior Programme Officer, Forests and Climate Change with the United Nations Environment Programme (UNEP) in Nairobi. He led the UNEP team that contributed to the UN-REDD Programme mainly by supporting countries to realize multiple benefits from REDD+, and to use REDD+ as a catalyst to transform to a green economy. Prior to that, he coordinated the Regional Plan for Collective Action in Eastern and Southern Africa, a joint initiative of the CGIAR. He also worked in various capacities at the Center for International Forestry Research. He earned his professional degree and doctorate in forestry from the University of Goettingen, Germany. Dr Michael Battaglia leads CSIRO’s work in Agriculture and Global Change that looks at practice and science to adapt food systems to environmental climate, market and social change, managing a portfolio of $20M. Previously he formed and then led CSIRO’s work on Agriculture and Greenhouse Gas Mitigation leading among other things to the first national assessment of the potential of the land sector to contribute to mitigation, and supporting government to design and implement its national greenhouse gas mitigation programs. 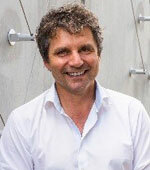 Michael has a background in forest systems science, being the recipient of the International Union of Forest Research Organisation’s Science Excellence Award for global contributions to Forest Modelling, and having at various times led CSIRO’s and parts of New Zealand’s forest science research capability. He is leading an incubated company in CSIRO, FutureFeed, that seeks to commercialize anti- methanogenic seaweed, engaging with the Australia and USA. Devra Jarvis leads the Bioversity team on Genetic Diversity Productivity and Resilience. She is also Adjunct Faculty at Washington State University, Adjunct Professor at the Institut Agronomique et Veterinaire Hassan II, Morocco, and Research Coordinator for the Platform for Agrobiodiversity Research. She has a PhD in Botany/Quaternary Palynology from the University of Washington. Prior to Bioversity, Devra worked for the UN World Food Program in China as M&E officer, and in Uganda as Head, Emergency and Relief. While at Bioversity since 1996, she has collaborated with national partners in Mexico, Peru, Ecuador, Bolivia Morocco, Vietnam, China, Nepal, Hungary, Syria, Sri Lanka, Burkina Faso, Mali, Niger, Ethiopia, Uganda, Uzbekistan, Turkmenistan, Tajikistan, Kazakhstan, Kyrgyzstan, the USA, and the European Union to develop scientific evidence to support the use of local crop genetic diversity to improve the production and resilience of smallholder farmers. 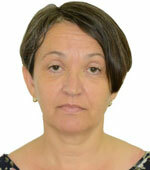 Devra has authored over 70 research articles, book chapters and proceedings. Dr Jane Muthoni Ininda has been involved in agricultural sciences for over 30 years, carrying out extensive research and providing expert technical advice on food crops in Africa. At AGRA, her role is to initiate, oversee, and manage investments in crop research and seed systems. She has led crop breeding initiatives in Eastern and Southern Africa and guided crop breeding teams to develop and release more than 460 improved varieties of food security crops, of which 71% have been commercialized through public-private partnerships with local Africa seed companies. 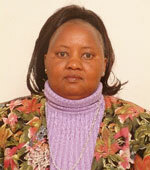 Her previous stint with the former Kenya Agricultural Research Institute (KARI) as a wheat, soybean and maize breeder led to the development and release of 26 maize streak virus-resistant hybrids for the medium altitude areas of Kenya. Jane founded the ‘Modern and Visionary Breeders’ in Africa and initiated the Maize Breeders Network for Eastern and Southern Africa. 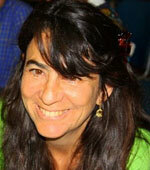 Jane holds a PhD (Plant breeding-Major, Statistics-Minor) from Iowa State University, USA. 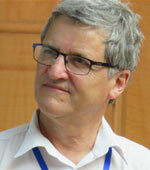 Dr Peter Carberry joined ICRISAT as Deputy Director General – Research in January 2015. Prior to this, he was a Chief Research Scientist in CSIRO, Australia and led the CSIRO team within the Agricultural Production Systems Research Unit (APSRU). Peter’s research focus has been aimed at enhancing the performance and sustainability of Australian and international agriculture in the face of economic imperatives and environmental expectations being defined by industry, communities, markets and governments. His research expertise lies in crop physiology and the development and application of farming systems simulation models. He is a key developer and driver of the Agricultural Production Systems SIMulator (APSIM) modelling framework. 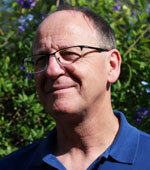 Peter holds a PhD in Agriculture from the University of Sydney.